After having spent 96 hours sifting through the best and most recommended prebuilt gaming PCs under $800 on the market, we concluded that the SkyTech Archangel VR Ready Gaming Computer is the best prebuilt gaming PC under $800. This has a Ryzen 5 processor, a powerful RX 580 graphics card, 8GB of DDR4 RAM, and a storage solution that consists of a 500GB SSD for lightning fast boot and loading times. If you’re looking for the best, this is literally that. You can easily get over 60 FPS at 1080p in most modern AAA games (max settings) with no compromise whatsoever. You can also save some money by building it yourself. If that sounds interesting, go ahead and read our how to build the best gaming desktop under $800. The SkyTech Archangel has a Ryzen 5 2600 processor, an RX 580 graphics card, 8GB of DDR4 RAM, and a 500GB SSD to boost the loading times of all your games. By the way, the RX 580 is as powerful as a 6GB GTX 1060, which is featured in most of our $1,000 prebuilt PC picks! You get the best of both worlds with this build: pure power and speed. The RX 580 graphics card can push frames high enough to experience smooth gameplay. Just remember that you only have 500GB of SSD storage space for all your games, so you might want to add an HDD to the rig later down the line. 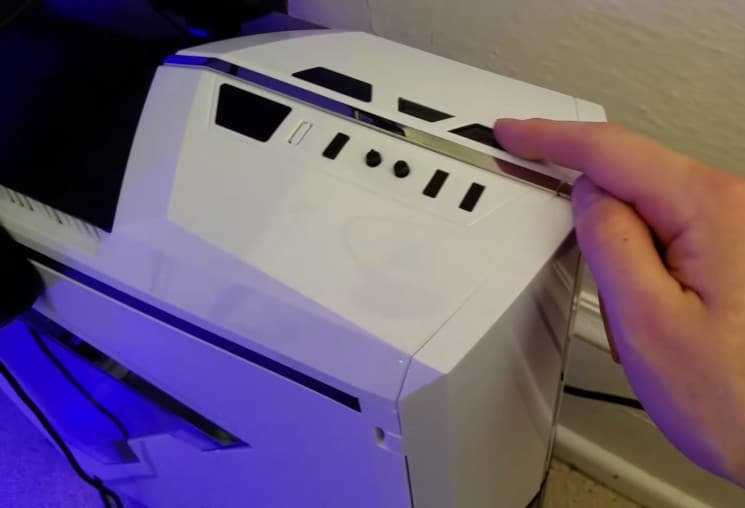 This gaming computer may not boast the speeds of an SSD but it does have twice the storage. It has a Ryzen 5 1400 processor, an 8GB RX 580 graphics card, and 8GB of DDR4 RAM to give you a decent 1080p/60FPS gaming experience-- even on ultra settings. The Ryzen 5 1400 may be the least powerful processor on the list-- well, it’s pretty close with the below Ryzen 3 1200-- but it shouldn’t bottleneck the 8GB RX 580 GPU, which is still powerful enough to push decent frames at 1080p resolution in modern AAA games. This PC is very similar to the above Second Best pick in overall performance despite having a different CPU-- Ryzen 3 1200-- and GPU-- GTX 1060. However, unlike the Second Best pick, this has a 120GB SSD to help with load times. 1080p gaming on max settings? No problem. It is worth mentioning that this Venus is the “Pink Edition”, which is undoubtedly marketed toward “gamer girls”. That being said, the Amazon pictures greatly exaggerate the fans’ RGB lights and make the interior look pink when it’s not. There are a few pink accents on some of the paneling, so it’s not really all that gaudy. In fact, it brings to mind Spider-Gwen’s color scheme. Even if it is pandering to a degree, it still looks nice and should be more than capable of keeping up with the other PCs on this list. If you travel often, then this pick might be the best gaming computer under $800 for you thanks to the case that is designed to be carried easily; a feature that is lacking from the rest of this list. 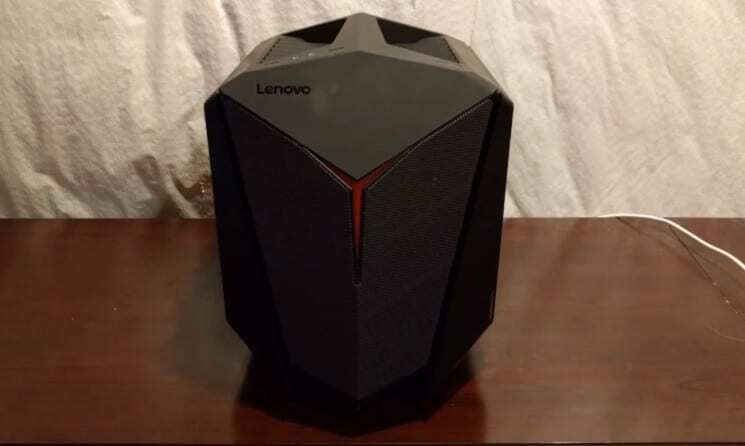 The Lenovo IdeaCentre Y720 Cube-15 prebuilt computer is a highly recommended pick for people who travel frequently. Its performance is slightly slower than some of the other options on this list, but still very similar to that of the HP Pavilion 580-131 above. Its Intel Core i5-7400 CPU can still handle modern AAA games well, especially since it’s paired with an RX 480 graphics card, 1TB HDD, and 8GB of DDR4 RAM. 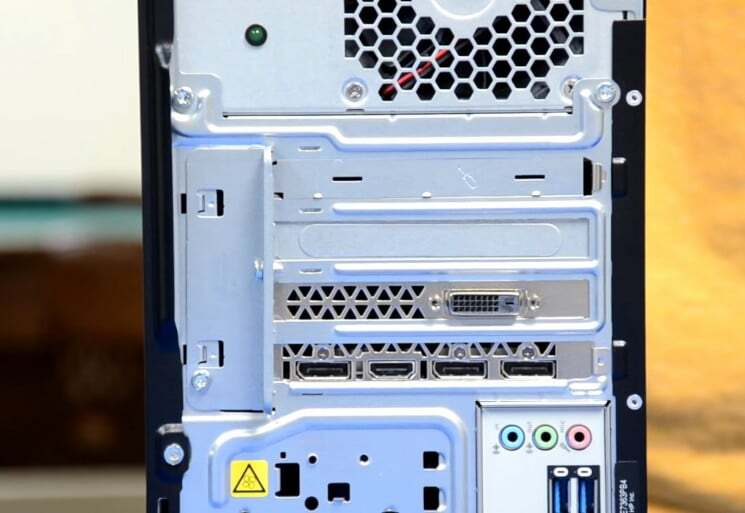 Interestingly, this PC has the most powerful processor on the list: an Intel Core i5-8400. It also has a nice mixed storage solution with a 256GB SSD on top of the 1TB HDD. It also comes with a respectable amount of RAM with 16GB of DDR4 RAM. So, reading the above you might be wondering why it’s at the bottom. What’s the catch? Well, it only has an RX 550 graphics card. That’s like 186% drop in performance versus the RX 570 graphics card. If you’re willing to upgrade the GPU down the line, then this can actually become a pretty powerful machine, but as is it’s just okay. Just like our best prebuilt gaming computer under $500 guide and our best prebuilt gaming desktop under $1000 guide, we gathered all the recently released prebuilts, specifically, the best gaming PCs under $800 from major manufacturers such as Acer, iBuyPower, CyberPowerPC, Dell, HP, CUKUSA, Lenovo, etc. The processor is what handles every data-processing task you do on your computer. AMD’s Ryzen© and Intel’s Skylake© and Coffee Lake© processors are both very capable of running AAA games. All the processors on this list are more than enough to give you an average of more than 60FPS at 1080p resolution (with almost everything set to max) so this shouldn’t be an issue. In general, Ryzen processors are more often picked by streamers thanks to their stronger multi-core performance (this means they can handle multiple tasks at a high level). They are also often slightly cheaper. On the other hand, Intel processors are better if you want to play games exclusively and nothing else because they have better single-core performance than Ryzen processors. However, the differences between CPUs that are in the same tier as one another are largely overblown. Checking out UserBenchmark will also give you an idea how and what makes one better or faster than the other. The graphics card is what’s responsible for rendering 3D images. As such, being able to game on your PC is disproportionately dependent on your graphics card. In the sub-$800 category, an RX 580/GTX 1060 (6GB) is the best you can expect to get without compromising some other part of your build. If you’re mainly concerned with gaming quality, a prebuilt gaming PC that’s equipped with an RX 580 is what you need. It’s vastly superior to the GTX 1050 Ti and just as fast as (or slightly better than) the GTX 1060 (3GB) in terms of graphics processing quality. UserBenchmark allows you to compare different components, so you can use it if you’re unsure about the value proposition offered by one of these PCs. All our picks have at least 8GB of DDR4 RAM, which is the least amount of RAM you should get for gaming in 2018. If you’re unsure how much RAM is too much, you can head over to our ”How Much RAM Do You Need for Gaming?” article to invest wisely. You should be interested in computers that pair HDDs with SSDs since SSDs load games faster and can make the entire system respond faster. While only some of our picks have HDD + SDD combos, all of them have at least 1TB of storage, so you shouldn’t be hurting any time soon unless you intend to install a lot of games. 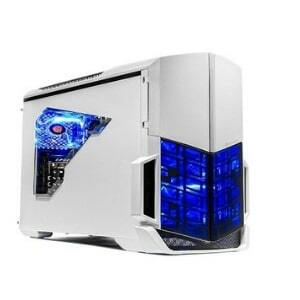 Prebuilt gaming desktops are known for using unbranded power supplies. If the prebuilt PC you buy does this, then you should absolutely invest in a new one as soon as you have the chance. For $800, it’s possible you’ll want to make some upgrades to components in the near future. The list we have should give you a lot of options for upgrade. When considering future proofing, you will often want to prioritize a powerful CPU since most PC compatibility revolves around it. To give you an idea how well these prebuilt gaming PCs perform, tests were made and benchmark results were recorded. We specifically picked popular games to give you an up to date reference. Refer to the table below to see the recorded average frame rates. *The 2018 HP Pavilion can’t handle 1080p gaming well until its GPU is upgraded. With all of the numbers laid out, you can clearly see how a better graphics card can push more frames even if it utilizes a better processor. The 2018 HP Pavilion utilizes a low-end graphics card which just isn’t capable of pushing 1080p resolution fairly well. But because it has a really good processor, 16GB of RAM and a 256GB SSD storage aside from the 1TB HDD that it comes with, it’s still is worth grabbing-- especially if you’re planning to get a more powerful graphics card down the line. In fact, pairing this with a GTX 1060 or RX 580 graphics card can easily outperform the rest of the contenders on the list with flying colors. So, if upgrading sooner or later is likely an option you will take, I’d personally recommend getting this over the rest all day. The SkyTech Archangel VR-Ready Gaming Computer is another powerhouse on our list. This may sit at the second place on our list but it actually offers outstanding performance because of the RX 580 graphics card that it comes with. Compared to the RX 570 from our top pick, the RX 580 is 14% faster in terms of general performance. This means VR-titles will look better than our top pick. Since a lot of VR-title games require a GTX 1060 (or an RX 580) as a minimum to experience 30FPS of stable gameplay, this is a steal for the price. Personally, I’d go with a stronger GPU if I’m going to use this exclusively for VR-title games. But 1080p resolution/max graphics gaming with this prebuilt computer is considered child’s play. You will get at least 60FPS on most AAA title games at 1080p. Plus, the power supply isn’t generic like most prebuilt computers. In fact, this has an 80 Plus Certified 500 Watt power supply-- and that is something you can rely on. Moreover, this also comes with a free generic keyboard and mouse as well as 1 exhaust fan at the back and 2 intake fans at the front. That’s like, $30 saved for a generic keyboard + mouse combo and 3 generic 120mm fans. Boot and game loading times will also feel snappy and lightning fast because of the SSD. Perhaps the biggest downside is the somewhat limited 500GB of storage space. So if you’re the “Steam Sale!” type of gamer, you’ll definitely want to get at least 1TB of HDD ASAP. But if you only play a few games at once, this will be enough. 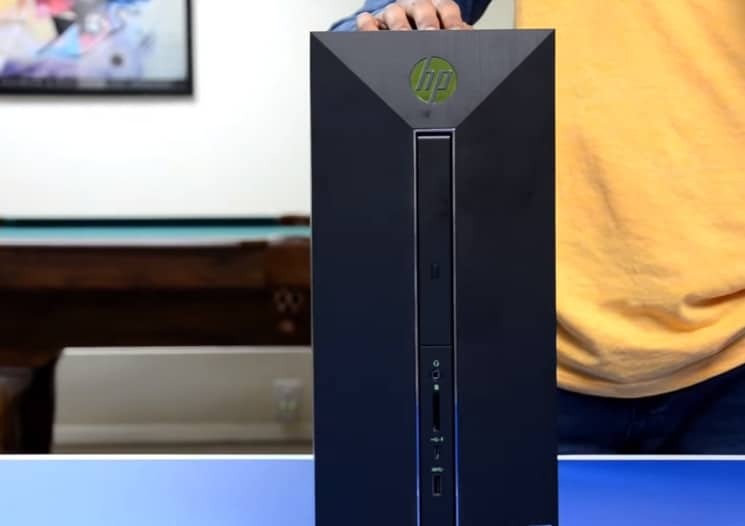 The HP Premium 2018 Newest Flagship Pavilion prebuilt gaming computer doesn’t have anything to boast about, really, except for the 16GB RX 580 graphics card. If you wish to play a few VR-titles, this will be able to do so. And if you want to just play AAA titles at Ultra/Max settings at 1080p, you won’t be disappointed, either. The case is a nice, simple black, which should be perfect for minimalists. It also has 8GB of DDR4 RAM, 1TB of HDD storage plus 128GB of SSD storage, and a DVD-drive... that’s mostly useless nowadays. Take note that this has a strong Ryzen 5 1400 processor. It’s powerful enough to deliver a good FPS count on most AAA-title games even when set at max/ultra settings (as seen in the How (and What) We Tested section). Should you wish to upgrade down the line, I’d recommend getting a new PSU because it comes with a generic 300W power supply. Also, be mindful of the GPU size if you want to upgrade it, too, since you have but a limited space inside. Overall, it’s a decent prebuilt gaming rig perfect for casual gamers. If you’ve been looking for some pink in your gaming setup instead of the more traditional blue, reds, and neon greens, then the SkyTech Venus Desktop Gaming Computer PC might be a good pick. 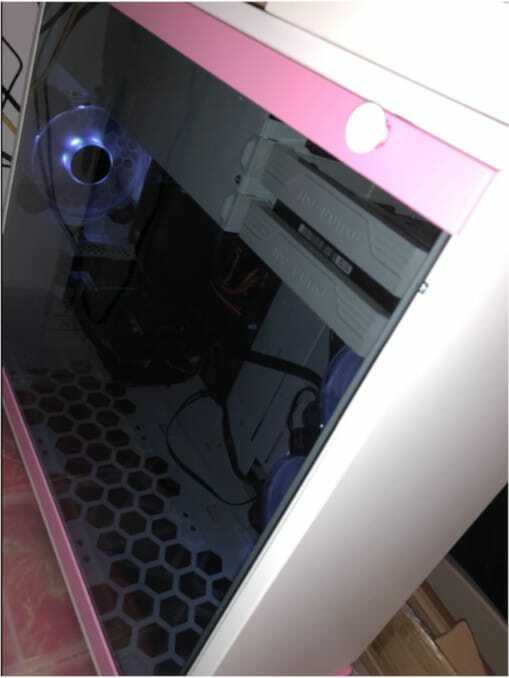 The outside and inside are both white with some pink accents, like the top part behind the glass panel, which can be seen below. Most of the pink comes from the 3x 120mm RGB fans. If you read user reviews, you will think these can’t be changed, but there’s actually a desktop app on that lets you customize the color configurations. 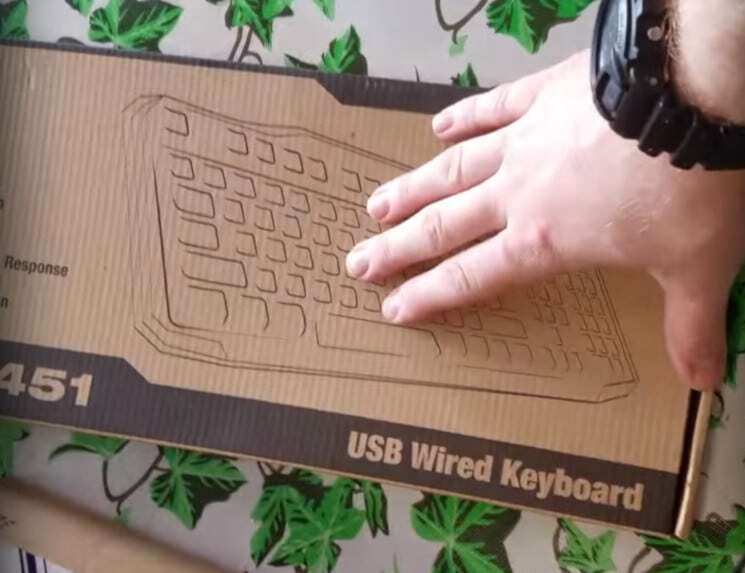 Aside from the fans, it also comes with a generic keyboard and mouse, which should save you at least $30. I’d also like to stress that, unlike the rest of the prebuilt computers on this list this has a high-quality 80 Plus 500W power supply. The Ryzen 3 1200 may be an entry-level gaming processor but the GTX 1060 graphics card really carries this machine a long way. In fact, this PC can hit over 60 FPS on most AAA-title games. 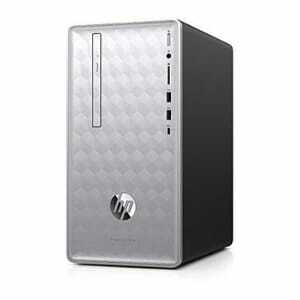 This also comes with an HDD (1TB) + SSD combo (120GB). So store your favorite games on the SSD for faster loading times. If the game is light enough to not need fast loading times, you have the 1TB HDD storage at your disposal. Overall, this is a gaming desktop capable of running AAA-title games at 1080p with no hiccups-- even if set to max. 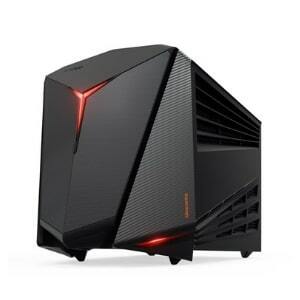 We only recommend the Lenovo IdeaCentre Y720 Cube-15 if you plan on traveling with your gaming desktop. The case is unlike any on the list thanks to the handle prominently featured on the top and the more traditionally gamer oriented design with its odd, sharp lines. To further its goal of being travel-friendly, it is also smaller than most gaming PCs; in fact, it’s closer in size to a console than any of the other PCs on this list. Inside you’ll find a Core i5-7400 processor and an RX 480 graphics card that’s only a tad slower than the HP Pavilion’s 580-131. You also have 1TB of HDD storage and 8GB of DDR4 like most prebuilt computers on the market. If you want to hit 60+ FPS when playing games, you may need to turn down some of your graphics setting to hit your goal. One thing that makes this ideal for gaming, too, is the Killer Doubleshot Pro technology. This tech utilizes both your wired and wireless connection at the same time and not only allows your PC to use both at the same time, but prioritizes sensitive data on the more reliable connection to ensure a smooth playing experience. Aside from the LAN port, it also has 4x USB 2.0 ports, 4x USB 3.0 ports, 1x VGA port, and 1x HDMI port. If you want to extend the display, you can do so by adding a second monitor. As with several of these pre-built units, you’ll want to get a better power supply as this only comes with a generic 310 Watt PSU. 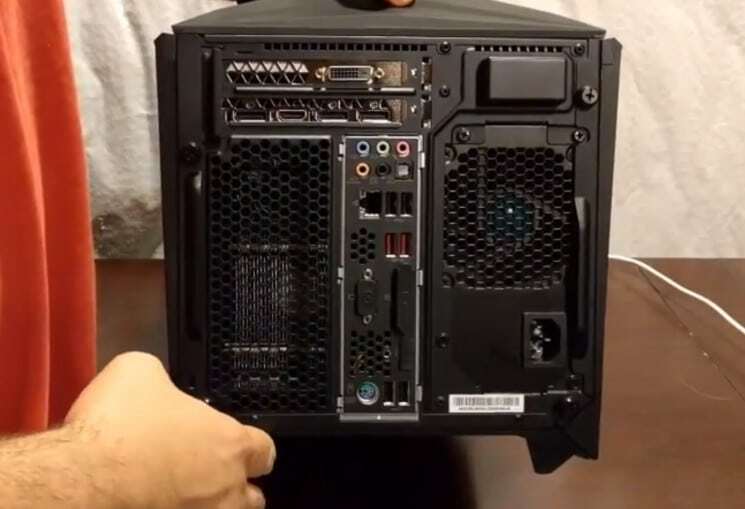 Also, since this case is made to be smaller for the sake of portability, this will mean you are naturally limited when upgrading since many components, especially GPUs, will be too large to fit inside. Overall, this still performs really well for the price and gaming on it should be smooth as long as you set the graphics down to high instead of max/ultra. 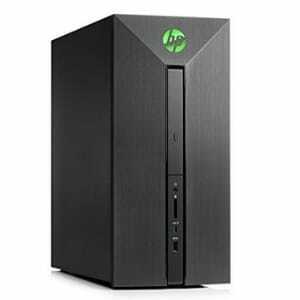 This 2018 HP Pavilion Desktop Computer is a highly recommended prebuilt gaming desktop if you intend to upgrade your GPU as soon as possible. The RX 550 graphics card, which is just plain inefficient at handling 1080p resolution at ultra/max performance, is definitely the weakest link here. It really holds this system back and requires you to turn settings to high-- while also turning other features off-- just to scrape by at around 30 FPS in most AAA games. Since you would need to upgrade this GPU to get better gaming performance, many might view this as being effectively nearer to a $1,000 setup. However, it isn’t all bad news. The other components are above what you’d expect from this category. And the better CPU means that you’d have more headroom for future proofing. The case has an elegant silver/white touch that I also like. File transfers from your phone to this prebuilt rig are also possible because it’s Bluetooth-ready. It may not be as good as the rest of the prebuilt computers on the list, but pair this with a decent graphics card and you get a monster computer that can outperform the rest on the list. The SkyTech Archangel VR-Ready Gaming Computer is responsive thanks to its 500GB SSD and RX 580 GPU. Get the Premium 2018 Newest Flagship HP Pavilion to experience maximum frames because of the 8GB RX 580 GPU. If you’re a girl gamer or prefer a pink set up for whatever reason, the SkyTech Venus Desktop Gaming Computer PC is for you. If you travel a lot, the Lenovo IdeaCentre Y720 Cube-15 is for you. 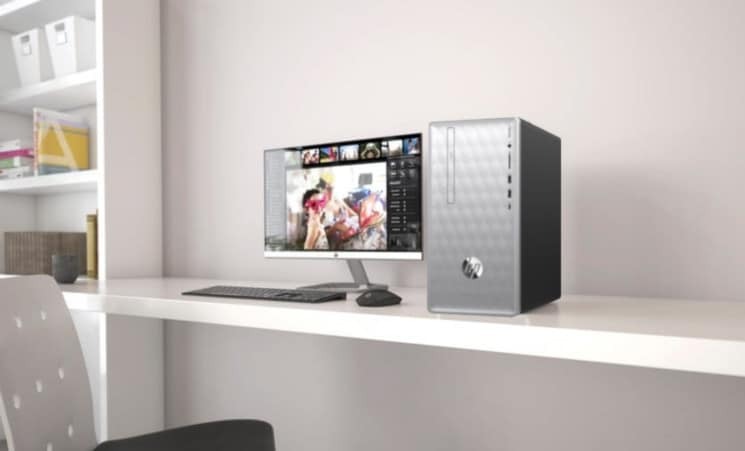 If you’re willing to upgrade the GPU, then the 2018 HP Pavilion Desktop Computer represents a great value due to its other strong features, like its powerful i5-8400 CPU. boils down to your needs and your ability to upgrade various components. There’s no one-size-fits-all best prebuilt gaming desktop, though, so take time to figure out what you need and then the rest will be much easier. If you are having problems choosing amongst the top picks, let us know in the comments and we’ll be happy to help you out.